We Share Phenomena by Lambert x Dekker at first strikes as simple but evocative, playful though often with more somber meanings hidden beneath. Vocal doubling, abstract percussive elements, and semi-pitch singing movements inspire almost haunted undertones over a driving musical palette. All the while, each artist stays true to their own style though the mixture produces something unique and enticing. Many tracks from the very beginning appropriately give a feeling of being pulled or forced forward in a bleak but beautiful musical atmosphere. Throughout, the style of timing which becomes characteristic of the album is first heard – where the phrasing of musical ideas across bars is not the standard 4/4, and has the feeling of run-on sentences or the sensation of talking to oneself. Here, and lyrically elsewhere, darker themes begin to pervade the subconscious of the listener. While these themes never overpower the cold beauty of the music, they are a near constant in the album and add a wonderful layer to the sound. We Share Phenomena is an interesting album in its ability to skirt between the sound of popular and classical genres with similar instrumentation. This continuity within the album’s sound is only more impressive when taking into account that the two musicians have never spent a moment of time in the same studio space. Lambert met Dekker as a part of Rue Royal, for which he was an opening act many years ago; since, the two have traded musical ideas digitally and have thus produced an album purely of blind creativity. What a success for such a vulnerable method to be employed between two artists and end with a beautiful yet chilling album. Known to many across Europe and the world, Lambert is a pianist and composer from Hamburg, Germany. His unique and original style of music blurs lines between contemporary and traditional classical music, in a way one might call him a “neo-classical” artist. However, any moment that Lambert might fall into one category, his music swiftly avoids definition – while he could be classical, he has released very dance-oriented remixes of his songs by artists Anatole and Vessels; however if he is called modern, or even pop, his more complex and subdued full-length albums put this to rest, such as the brooding and beautiful Stay In The Dark from 2015. 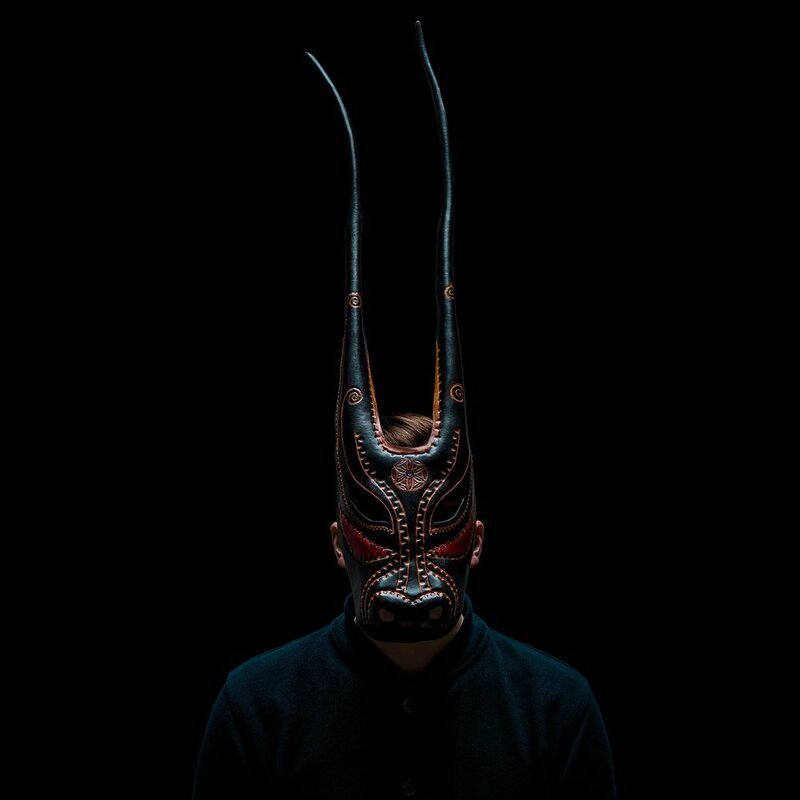 Lambert has been on the rise for some time; however his most recent project, a collaboration with artist Stimming, is an even greater leap forward for the man behind the mask. Stimming x Lambert's new album, Exodus, is a contemplative and diverse collection of music, which is subject to cause thoughtfulness, tranquility, foot-tapping, and humming along. Despite all this, the album still seems to walk the fine line between classically-rooted music and popular, rhythm-oriented music in a way so skillful, it is characteristic of Lambert’s work. Piano & Coffee Co. got the very fortunate chance to talk with Lambert days after the new release, and days before he and Stimming took the music on the road, touring across Europe. Where did your journey with music begin? How have you changed as a musician over time? Your compositional approach is very amorphous and fluid, setting you apart from other musicians. For example, some melodies change from straight 32nd note runs to a swing-rhythm very suddenly, and many songs seem to change key freely compared to other music. What inspires you to make these musical decisions? I don’t know, I spend a lot of time playing jazz, free-improv music and some classical next to that. But in a way, I see myself as an instrumental songwriter. I think my pop cultural roots are still a big part of my music. I don’t make decisions when I write, somehow it feels like there is only one way, I just have to wait sometimes until I find it. Your rise in popularity can be partially attributed to the reworks and covers of other artists’ songs in your own unique style. Do you find these reworks to be more or less creatively rewarding? Do you think there are pros and cons to doing reworks, versus solely original material? I only do reworks of tunes I like. I have the freedom to treat them freely. I can use the compositional material, or I can rewrite it or use it to improvise over it. It’s not so different from writing my own music, just with the little aspect of treating the original in some way. But since I developed such a free approach on that task, it feels like the creative process is almost the same. Gaining the recognition you have, do you ever feel overwhelmed or undeserving of the spotlight you are in as a musician? Or do you relish each moment you get to perform and express yourself through your instruments in front of a crowd? Does your characteristic use of the Sardinian mask speak to your feelings on this topic? I am aware that I am in a very lucky position since I can base my life around my own music. Of course, I just love to play and create music, and I like the feedback I get from playing live shows. Before I became Lambert I had to deal with ten years of not getting any recognition for anything I did. Of course, the love for music kept me going, but since I now experience worldwide feedback for my music, I must admit I am enjoying myself. I am neither comfortable with admitting that, nor was I comfortable with myself when I started to be Lambert. What was your relationship with Stimming before this collaboration of the album Exodus began? How did the idea to collaborate come about? He listened to my debut and wrote me a message on a social network. He invited me to his studio and before we even really talked or got to know each other, we were improvising for hours. After that, we decided to work together and became friends. Being a drummer in your younger years, how do these recent collaborations and the presence of percussion affect you musically? I guess my piano style has a strong rhythmical content. My left hand is often oriented on minimalistic rhythmical patterns. Because of that, I guess also Stimming, as someone who produces rhythmical music for people to dance to, got interested in my music. With Stimming I enjoy very much to let someone else take over that part, so I can focus on other aspects. I treat the piano differently when we perform together. Can you identify some differences between your creative process for a solo project versus the creative process for this collaboration? Any similarities? On the new album, specifically the two singles Edelweiss and Der Blaue Fels, there are melodic elements that have a mild distortion effect on them. It is hard to tell in both songs what the originating instrument even is for these sounds – piano, vocals, or something totally different? Can you elaborate on the use of these perplexing and unique sounds in the compositions of the collaboration, compared to all the more familiar sounds such as piano, strings, drums, etcetera? Well, I used samples of the piano that I recorded, like strings or percussive sounds of the body or the piano strings. I also played guitar, searched for string samples and some other acoustic instruments and sounds to arrange with. Stimming did the rest. He used his electronic gear and synths to develop the material he received from me. Were there any moments of creative difference or disagreements during the making of Exodus? Or did you two have the same ideas musically for the entirety of the album? No fighting at all. If something didn’t work we usually agreed and just left it out. Were there any particularly inspiring musical moments during the collaboration? Perhaps a favorite memory or something very eye-opening to you as a musician? We didn’t spend a single day in the studio together during this process since we live in different cities. It was an eye-opener: that this way of working together actually works. 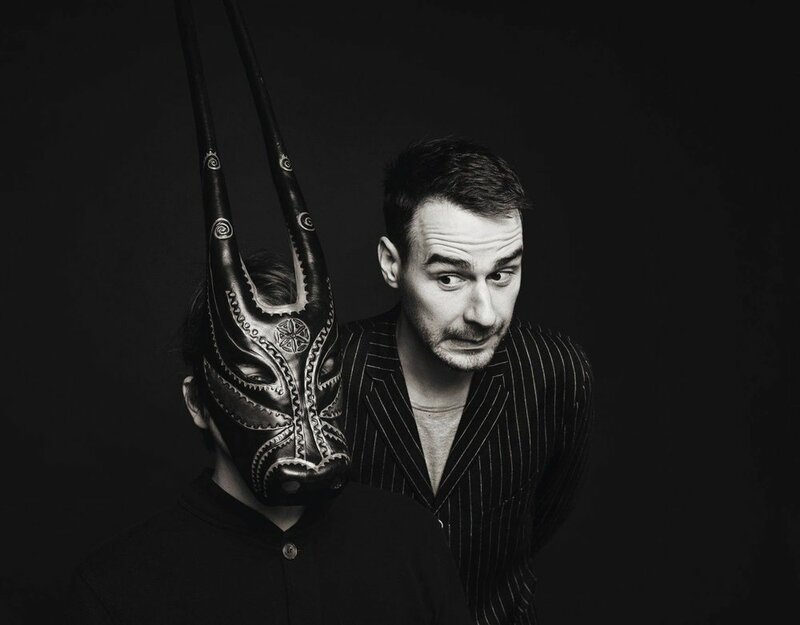 With this album going on tour, and you and Stimming bringing the new music to different theaters and venues across the continent, what can people look forward to about the live shows? Any exciting secrets or surprises you can give us hints about? Our tunes will be the basis of our performance, but we found a great way of treating them freely. We don’t have to stick to arrangements. Actually, I enjoy that improvisation will be a big part of our show, that way it will always be something new and we avoid the autopilot. Besides the amazing tour you and Stimming have lined up, what’s next for Lambert? What can fans look forward to from you in the future, near or distant? I will release another collaboration album with Brookln Dekker (Singer of the band Rue Royale) in Autumn, and we will tour with it. Also, I am working on new ideas for a new Lambert album. I want to do another album with Stimming; we already produced two new tunes that will be part of our live show. And I’m working with the Thring Theory on ideas. I am having a great creative time this year, I must admit. Finally, and this one is not a question, but I have to say from all of us at Piano & Coffee Co. as well as from myself personally: congratulations on this incredible and captivating work of music. You should be extremely proud of your art! It is a wonderful album and one that we will be listening to for a long time to come.